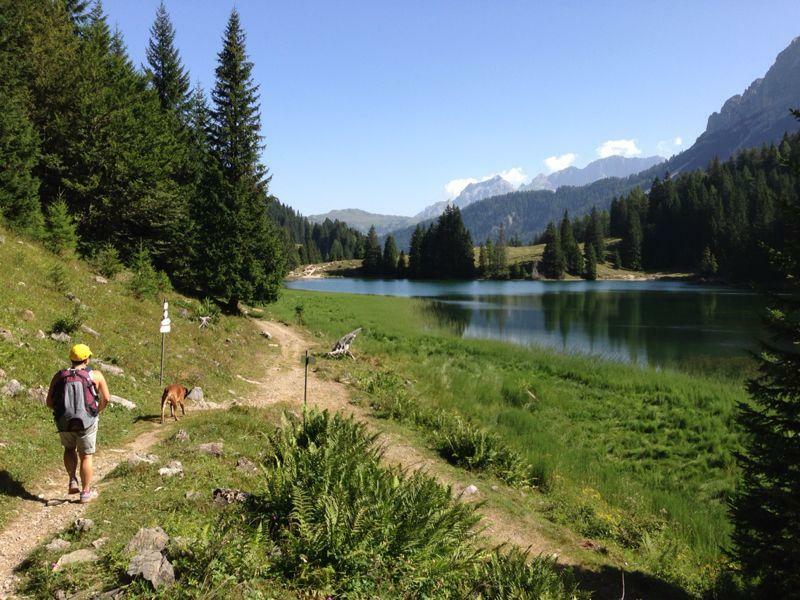 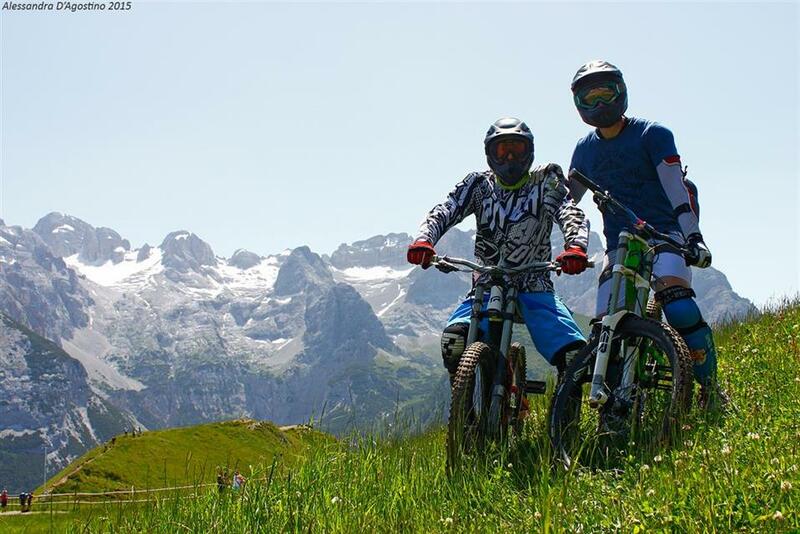 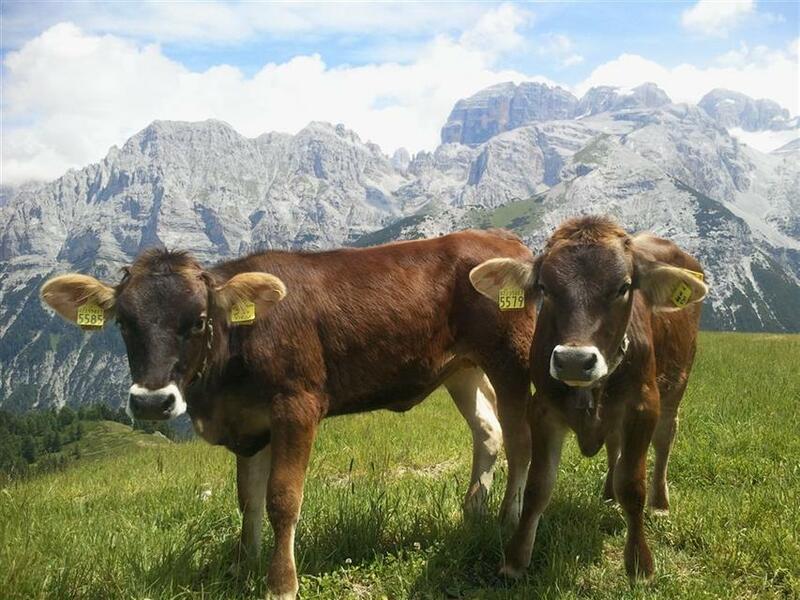 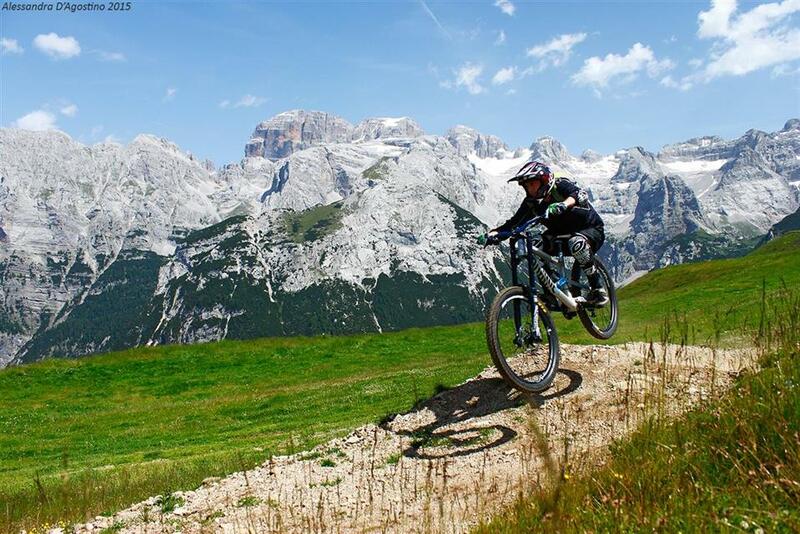 The connected resorts of Pinzolo and Madonna di Campiglio, located in Val Rendena, offer a total of 100 km of trails set at the height of 2550 m above sea level. 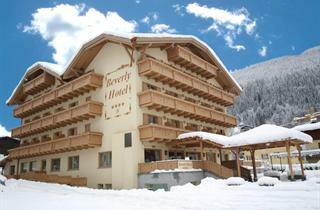 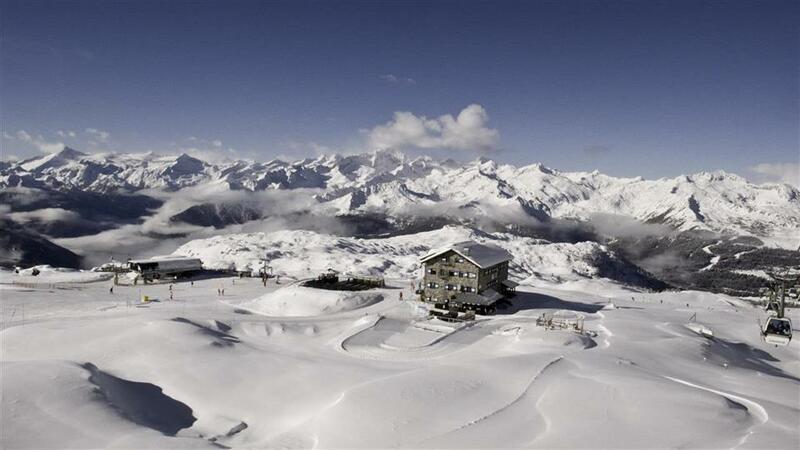 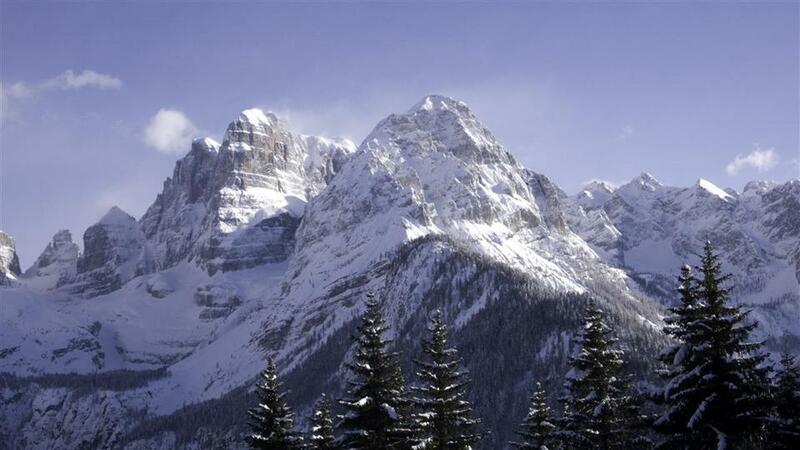 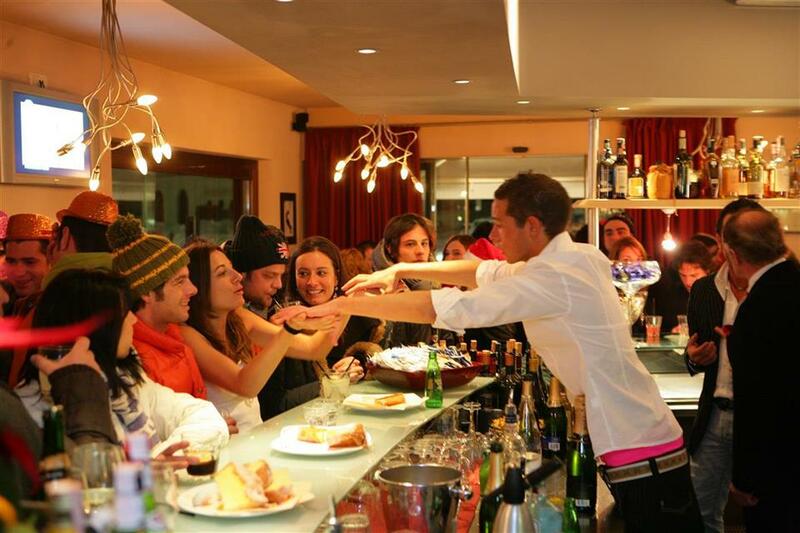 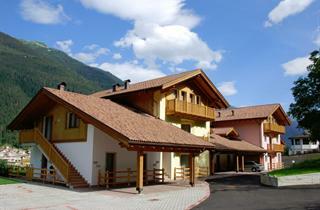 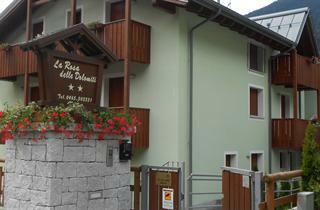 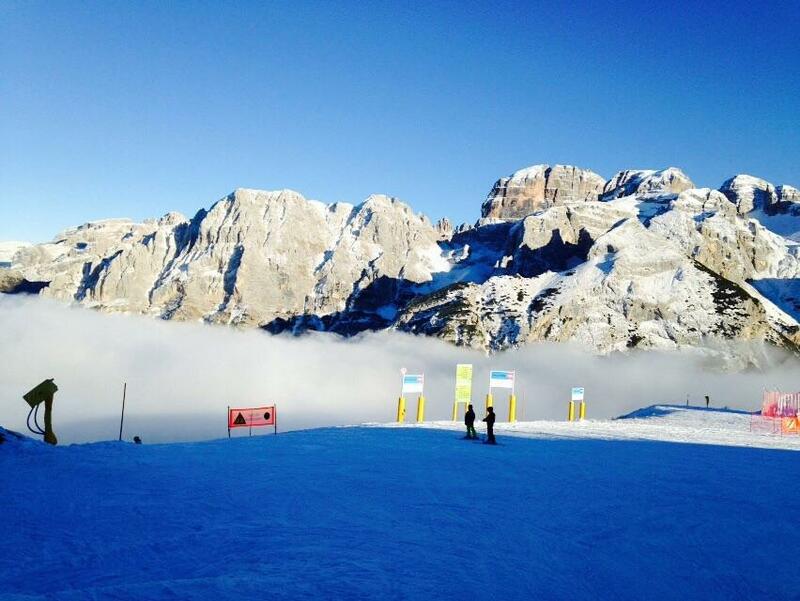 The slopes here are considered by more experienced skiers as one of the best in this part of the Dolomites. 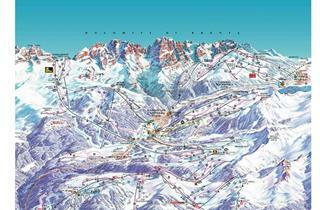 The whole ski area can be divided into two parts - approx. 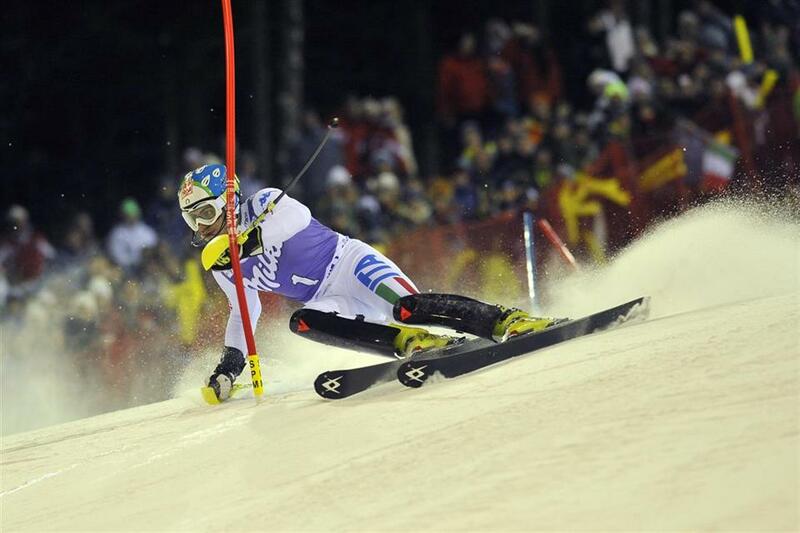 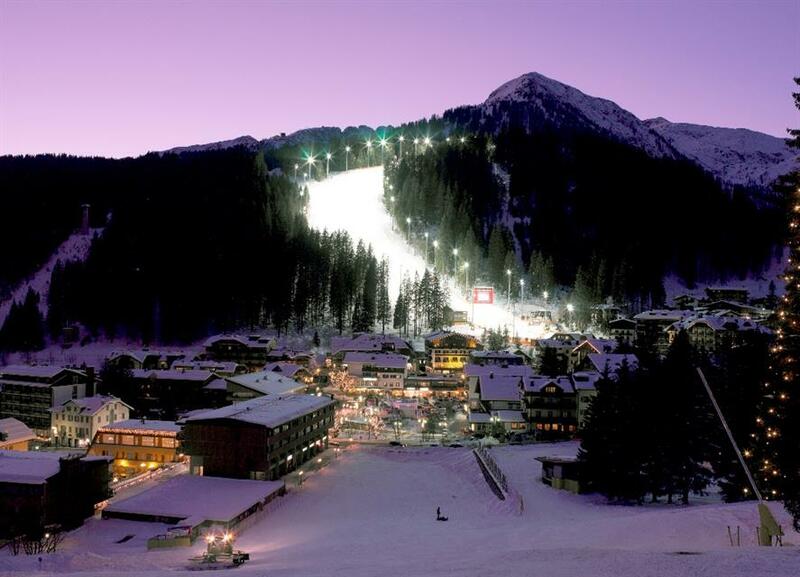 70 km of runs going around the famous ski resort of Madonna di Campiglio, and approx. 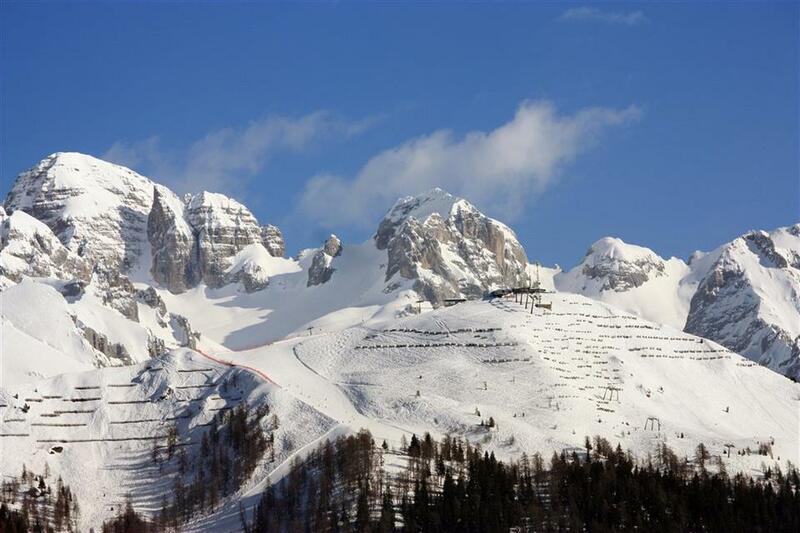 30 km on the slopes towering over Pinzolo. 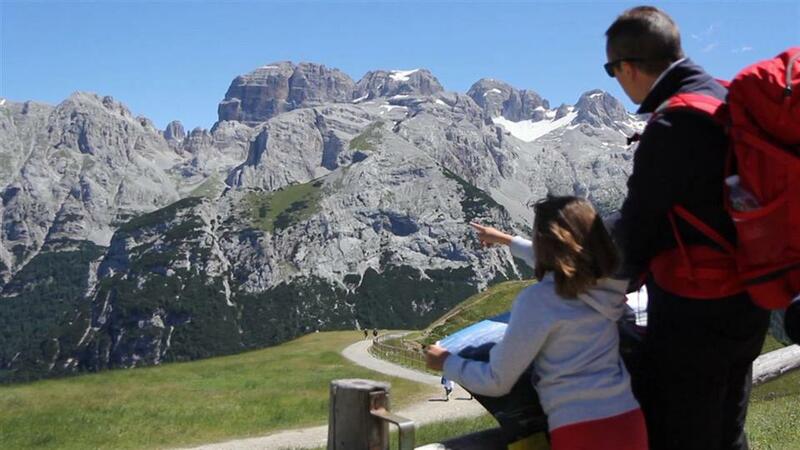 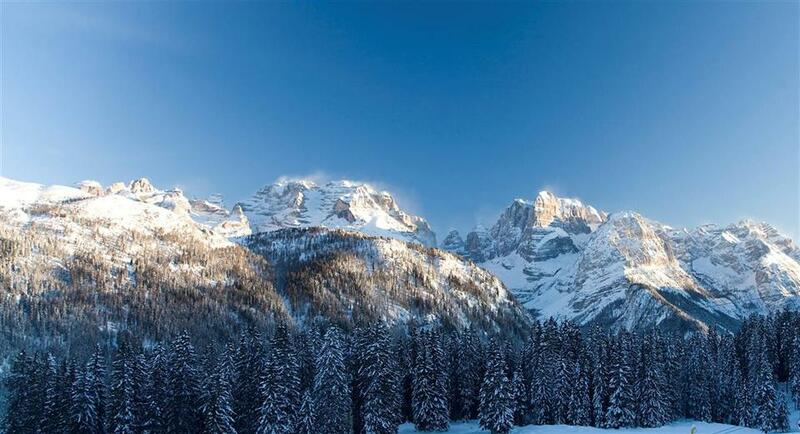 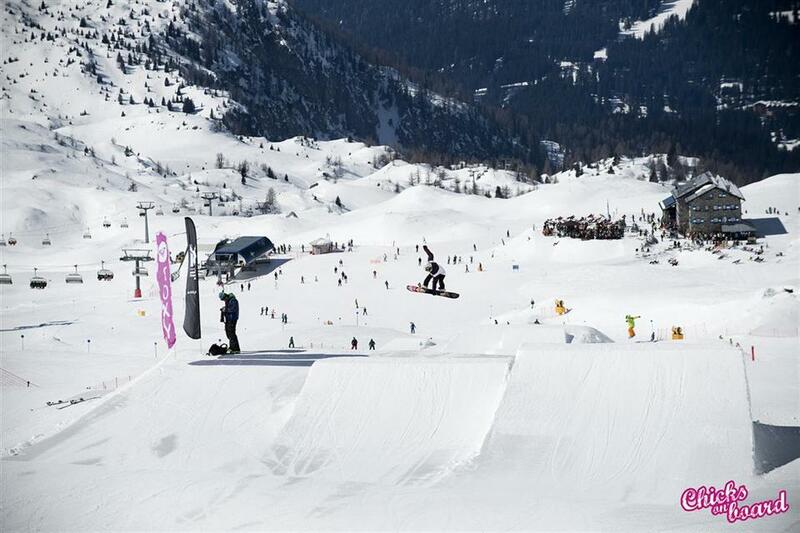 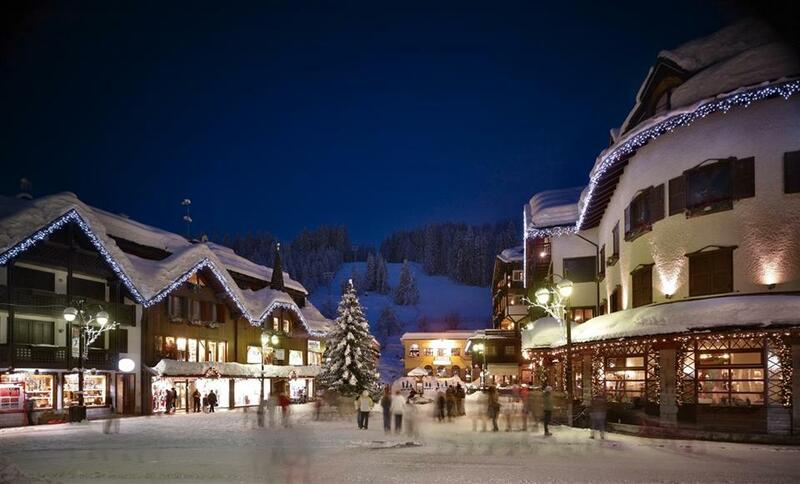 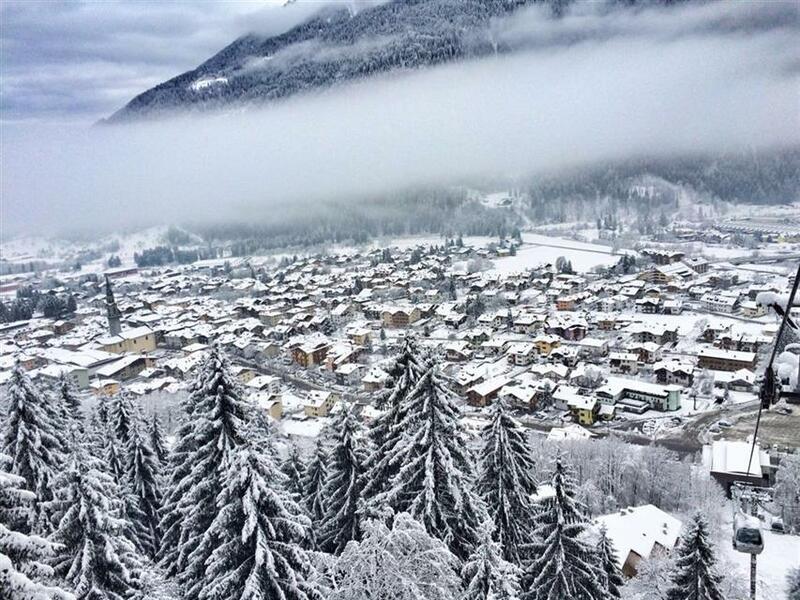 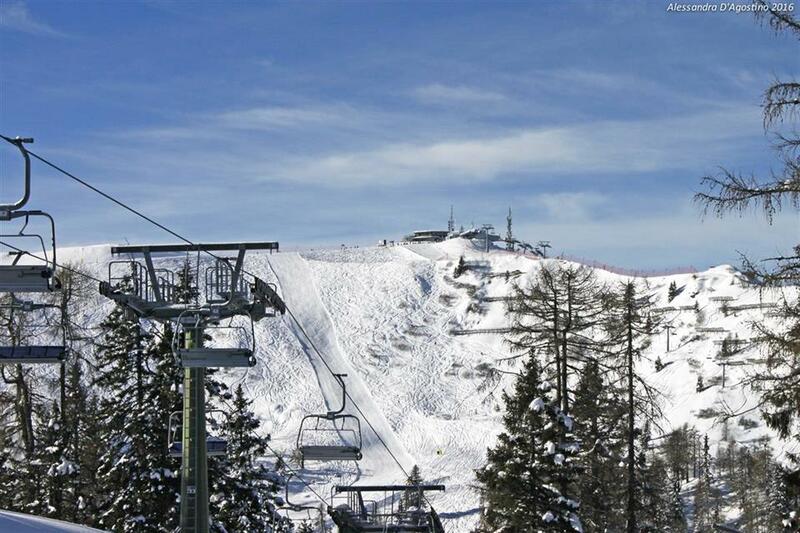 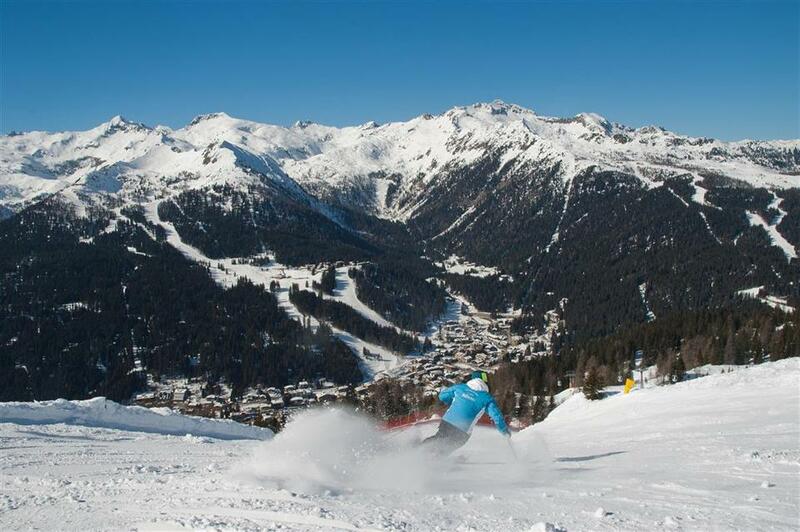 Skiing in Madonna di Campiglio means going down trails that almost surround this popular resort. 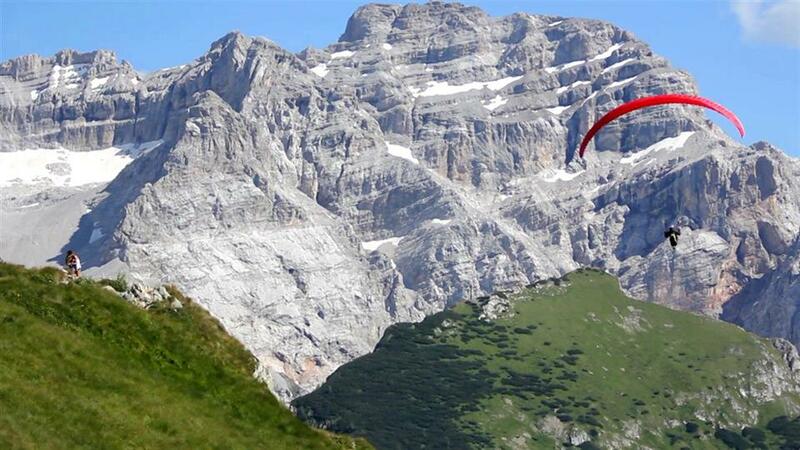 Monte Spinale (2101 m) towers above the town from the east, which boasts the most difficult trail in the area – the Direttisima Spinale black run, 2,400 m long and with a 600 m difference in altitude. 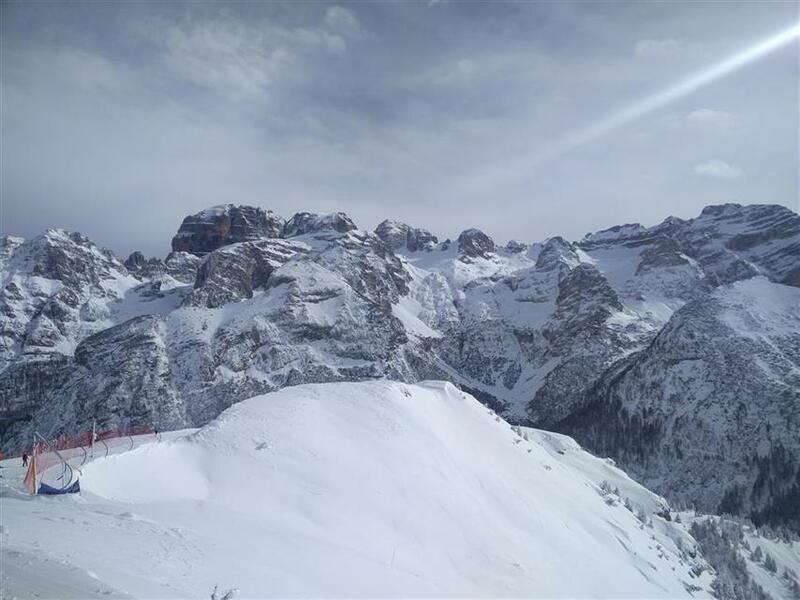 Closer to the Dolomiti di Brenta massive you can find Passo Groste (2,444 m), where there are a few red and blue trails and a snow park. 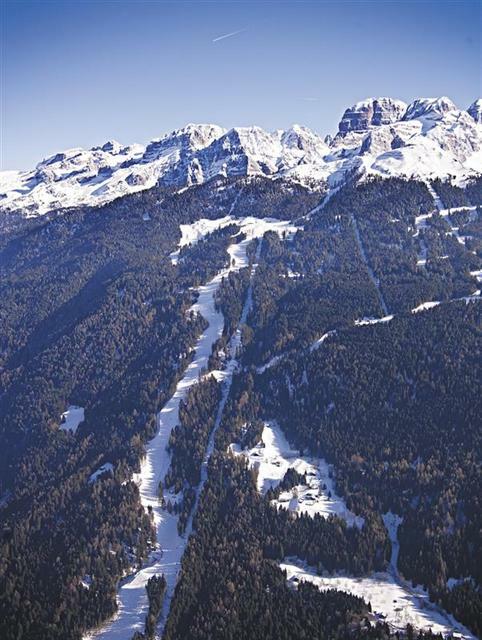 It is possible to ski down directly to the centre of Madonna di Campiglio both from Passo Groste and Monte Spinale, as well as to Campo Carlo Magno, lying at an altitude of 1680 m. From here, it is possible to quickly catch a lift taking skiers to the Pradalago area, situated on the opposite side of the valley. 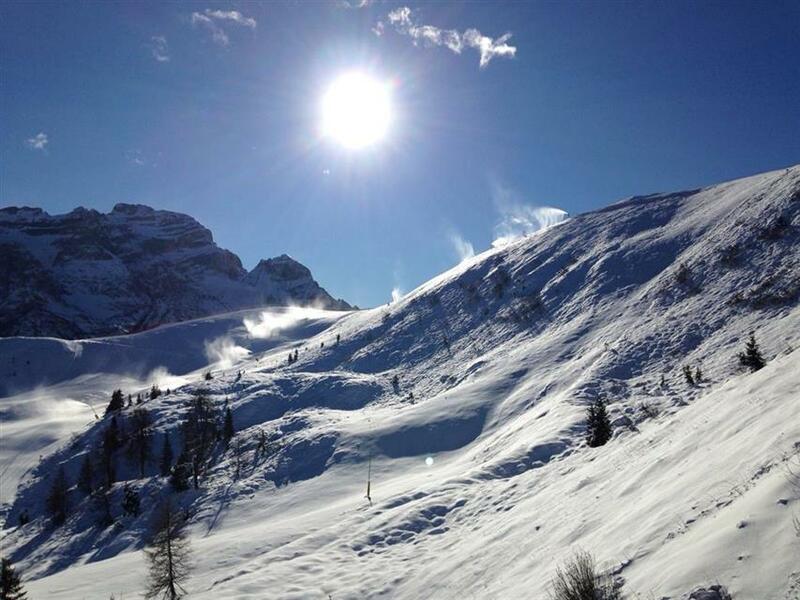 The blue and red runs go up to a height of 2,143 m above sea level. 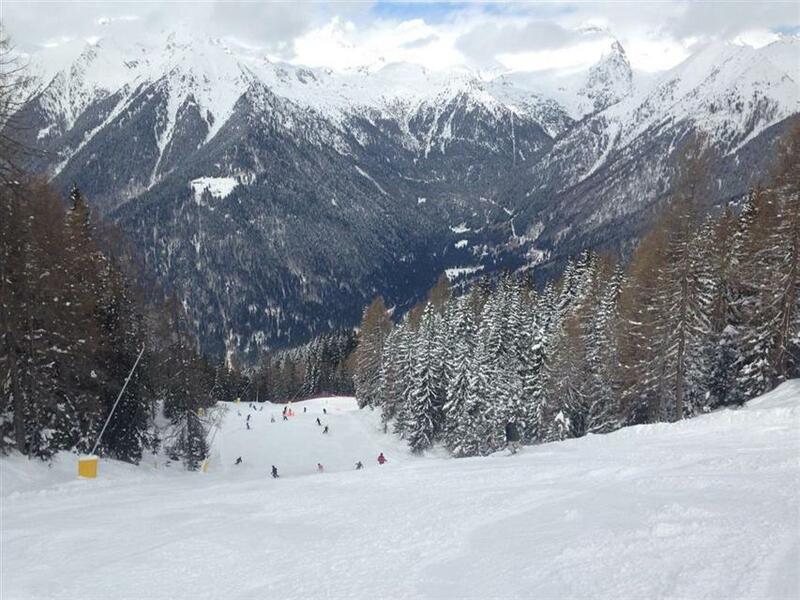 Skiers hungry of additional kilometers of trails can get through via the red trail to the Folgarida-Marilleva ski areas in Val di Sole. 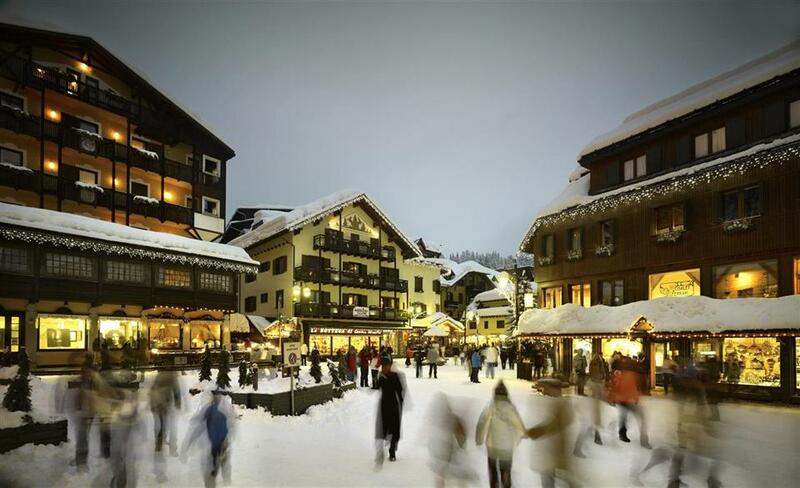 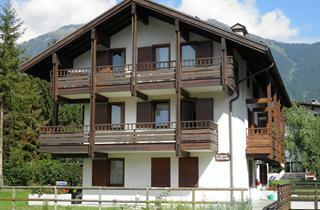 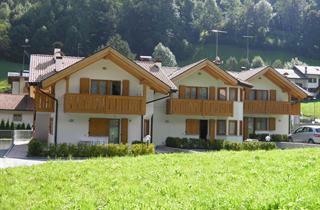 Near Madonna di Campiglio is the town of Pinzolo, which is the business center of the valley, offering a large number of accommodation facilities. 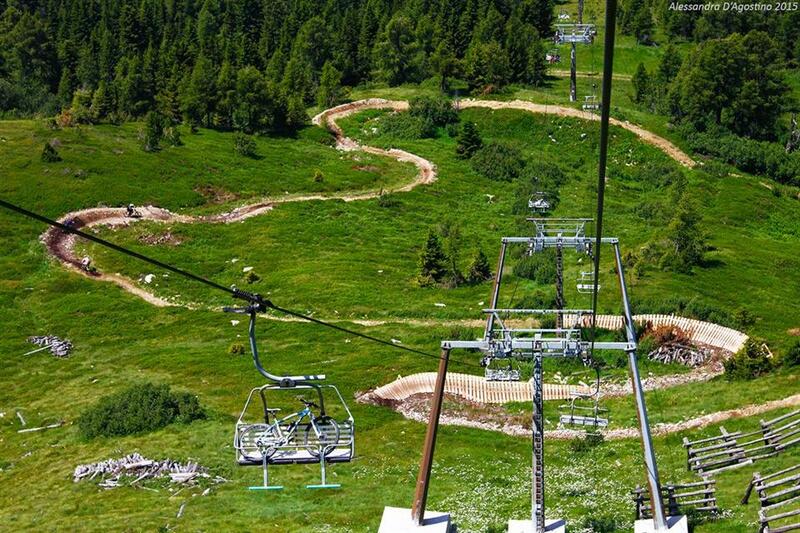 The distance from Pinzolo to Madonna di Campiglio is 13 km, but there is no need to use a bus or car. 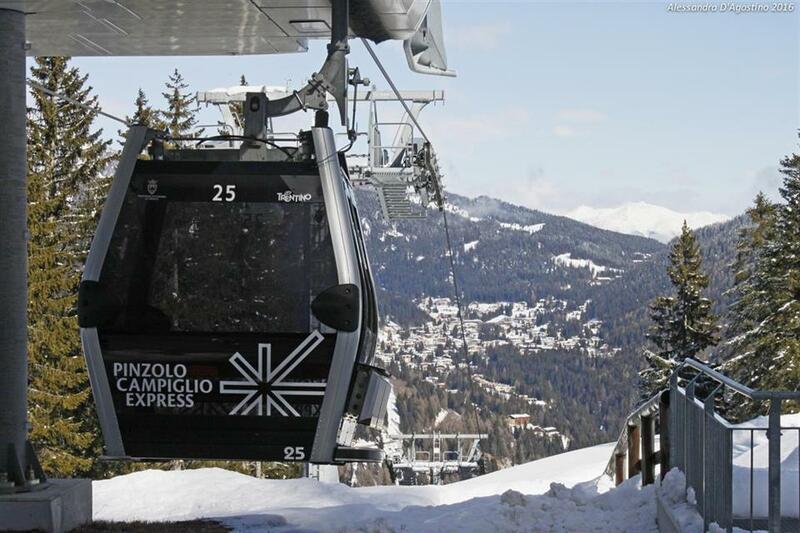 Since the 2012/13 ski season, the towns are connected by the Madonna - Pinzolo Express gondola. 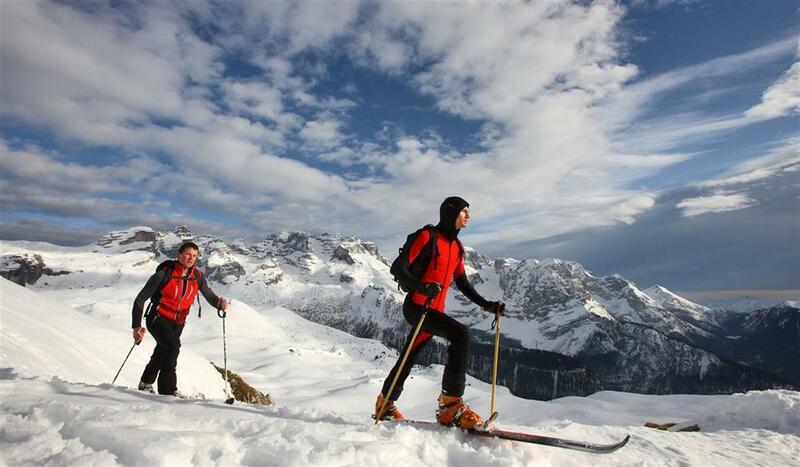 This solution allows you to enjoy the trails of both places without removing your ski boots. 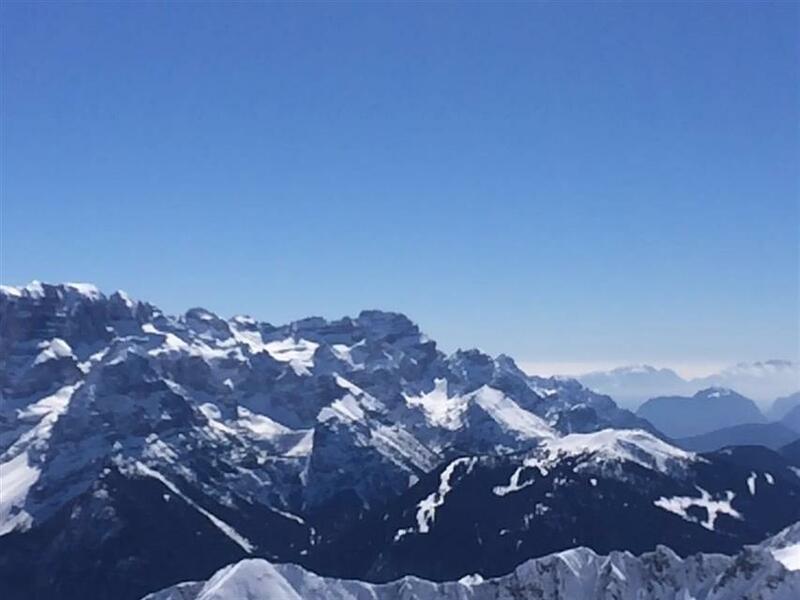 The gondola route was planned out in such a way that skiers can admire the spectacular views across the Rendena Valley and the Brenta Dolomites during their journey. 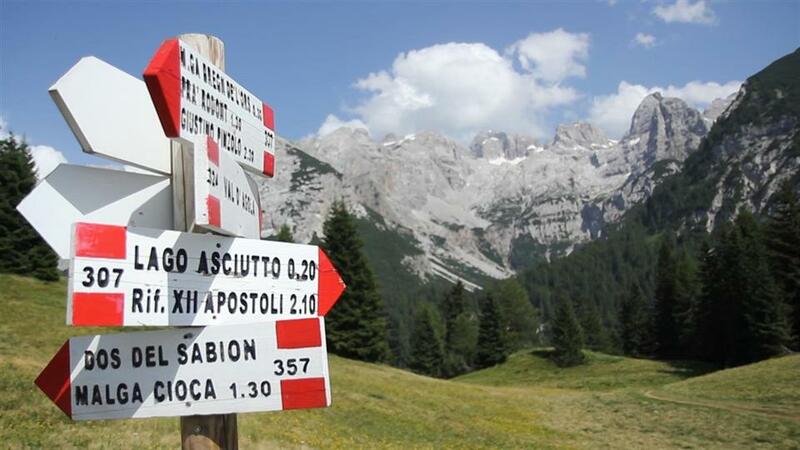 Trails in Pinzolo lead from the town up to the summit of Doss del Sabion (2,100 m). 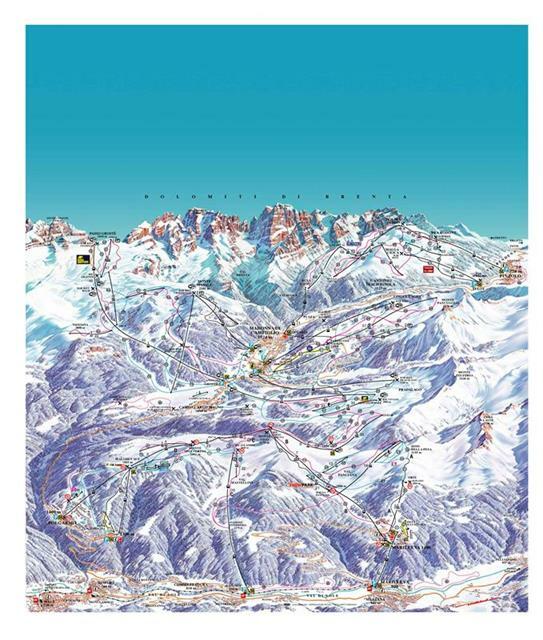 You can find here mainly red and blue areas, ideal for the whole family, many of whom choose to book accommodation in Pinzolo. 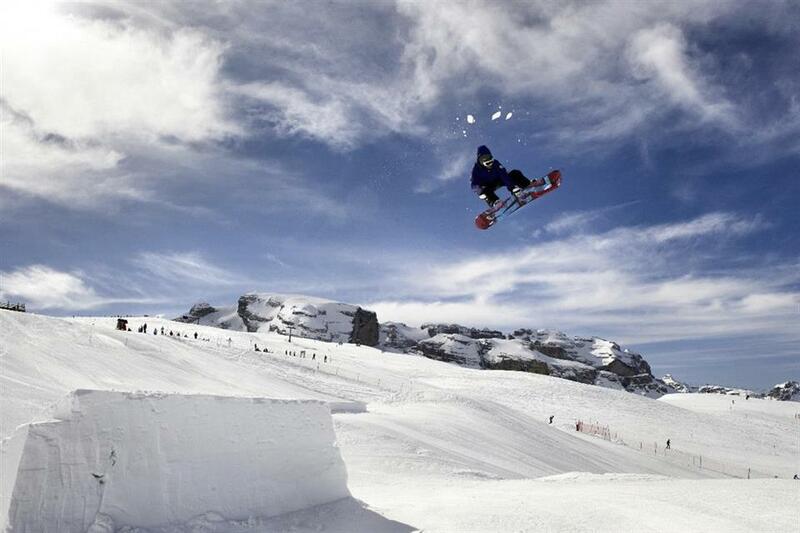 On the slopes of Doss del Sabion there is a snow park for snowboarders. 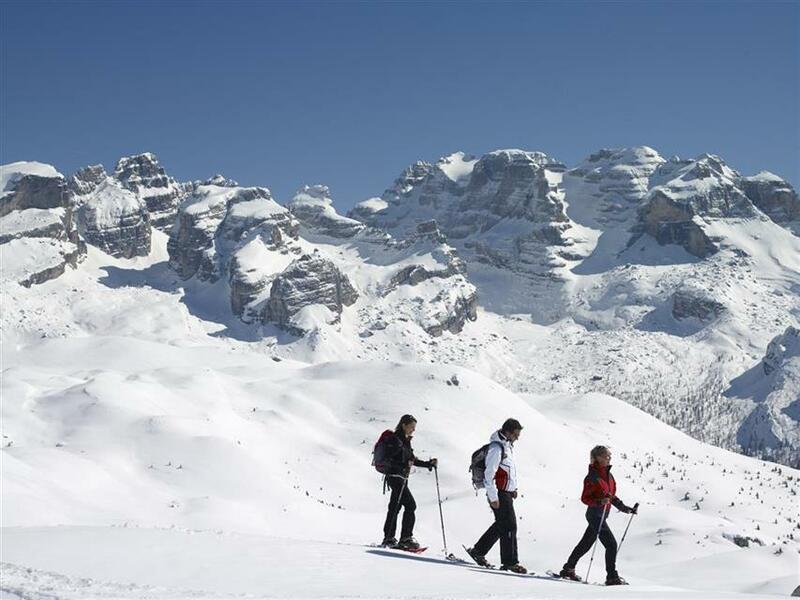 Cross-country skiers in Val Rendena will find runs marked out between Madonna di Campiglio and Campo Carlo Magno. 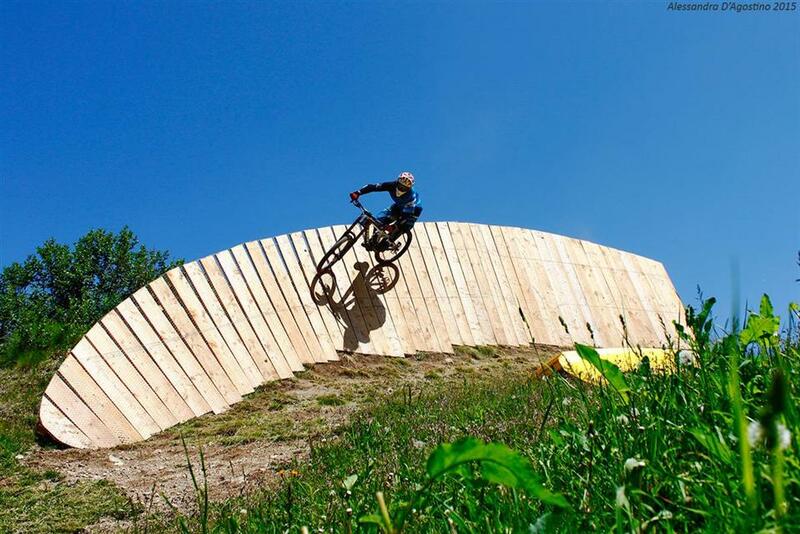 There is a total of 22 kilometers of trails. 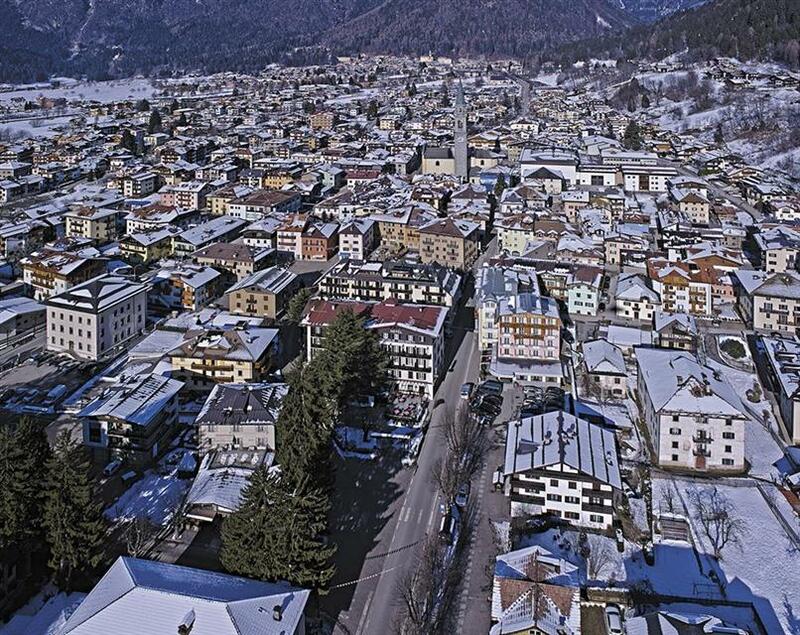 quiet Italian town with a church and a small marketplace, a large grocery store, cafe, pizzeria, restaurants in hotels, saunas. 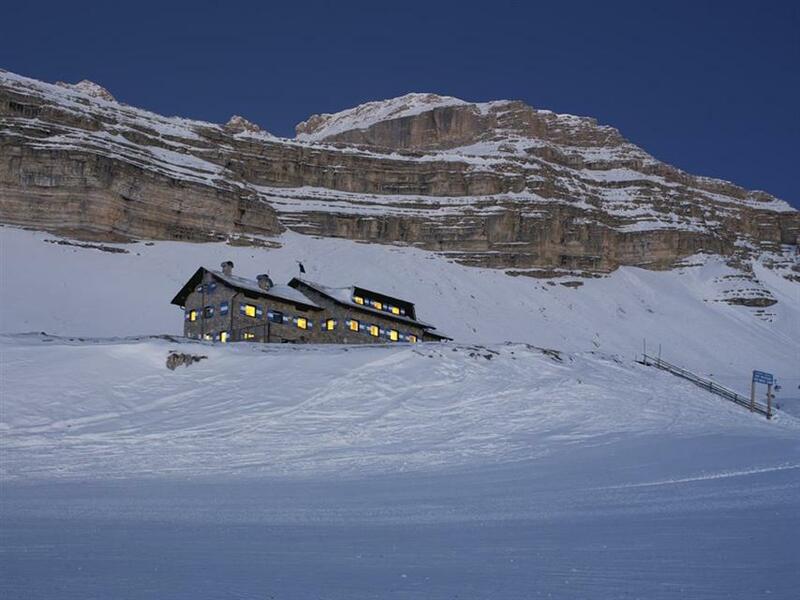 indoor skating rink, multiple runs, especially for good skiers and great gondola connection with camiglio and marilleva which gives almost unlimited possibilities for everyone.